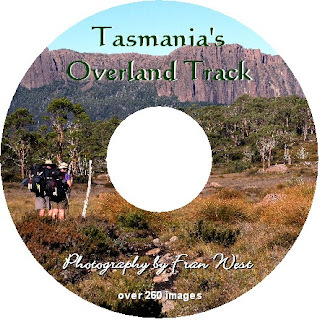 A 26 minute DVD movie presentation of over 260 still photos highlighting the magnificent mountain terrain of the walk from Cradle Mountain to Lake St Clair in Tasmania’s World Heritage wilderness (Australia). Discover the many moods of the track as it passes through forest and moor land, alongside peaks and waterfalls, and reveals delicate wildflowers and secluded creeks. Accompanied by peaceful and relaxing background music – no captions or narration, to enable easy viewing and listening, and reminiscence. Play the preview video. Ideal for use with high care, palliative care and Sundowner's Syndrome patients because of its calming and soothing effect of colourful images and soundtrack of beautiful piano music (similar to Beautiful Blooms DVD). For those who enjoy the outdoors and walking, this video can tie in with Spain's Pilgrim Trail DVD.